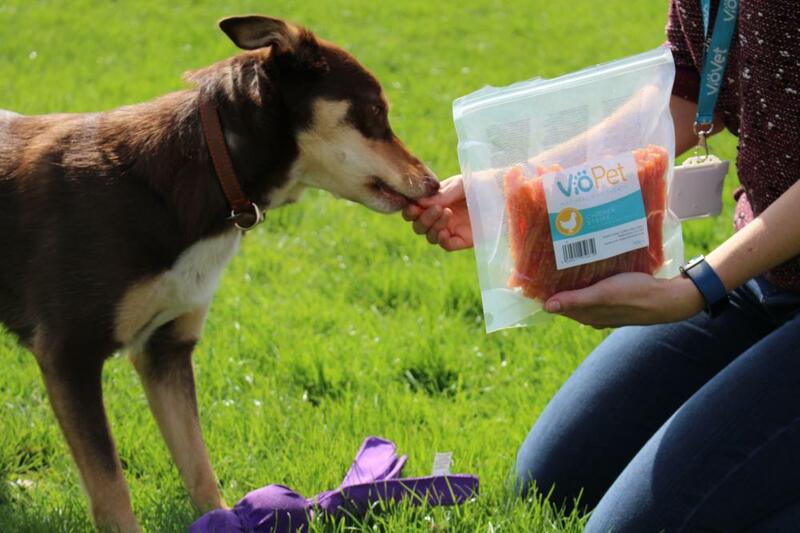 Rumoured to overcome selective hearing, poor recall and stubbornness - dogs love VioPet treats! 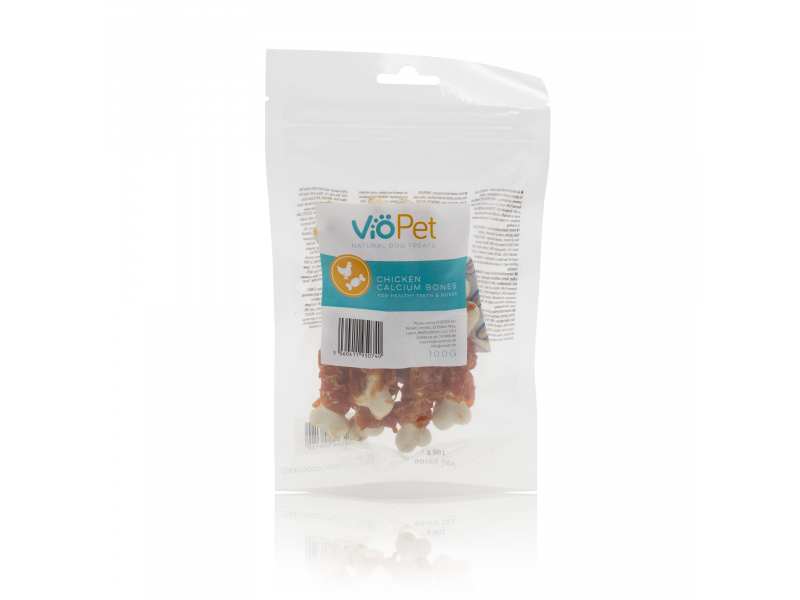 If you like our treats, why not try our VioPet Adult Dog Food? Chicken fillets, glycerine, modified cornstarch, sorbitol. Duck fillets, glycerine, modified cornstarch, sorbitol. 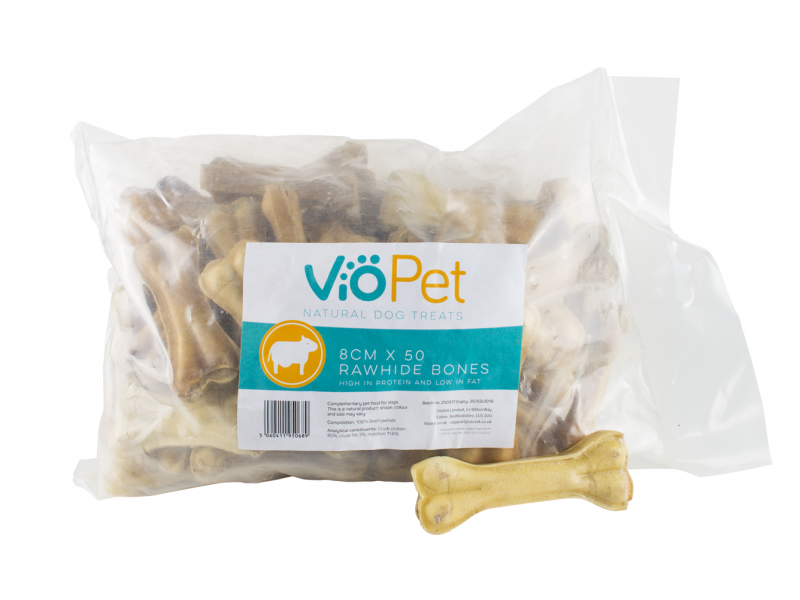 Our 8cm natural rawhide bones are perfect for small jaws and will satisfy even the most enthusiastic chewer’s instinct to chomp. Crude protein 80%, crude fat 3%, moisture 11.6%. Crude protein 80.7%, crude fat 3.9%, crude fibre 2%, crude ash 4.8%, moisture 7.4%. Chicken, glycerine, modified corn starch, sorbitol, wheat flour, calcium carbonate. 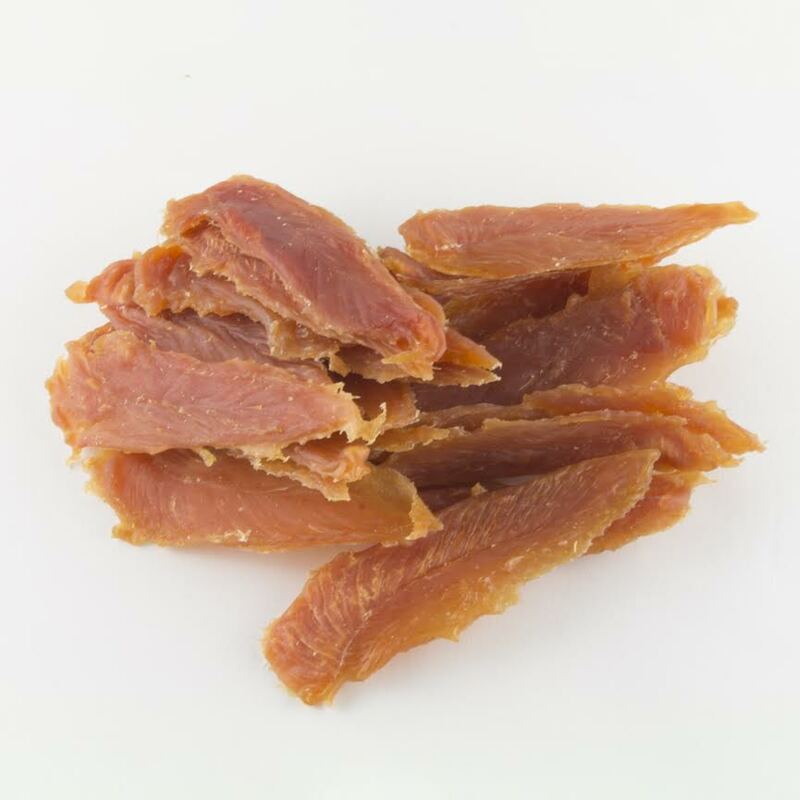 Crude protein 16%, crude fat 2.2%, crude fibre 2%, crude ash 4%, moisture 18%. Below are some recent questions we've received regarding VioPet® Natural Dog Treats, including answers from our team. 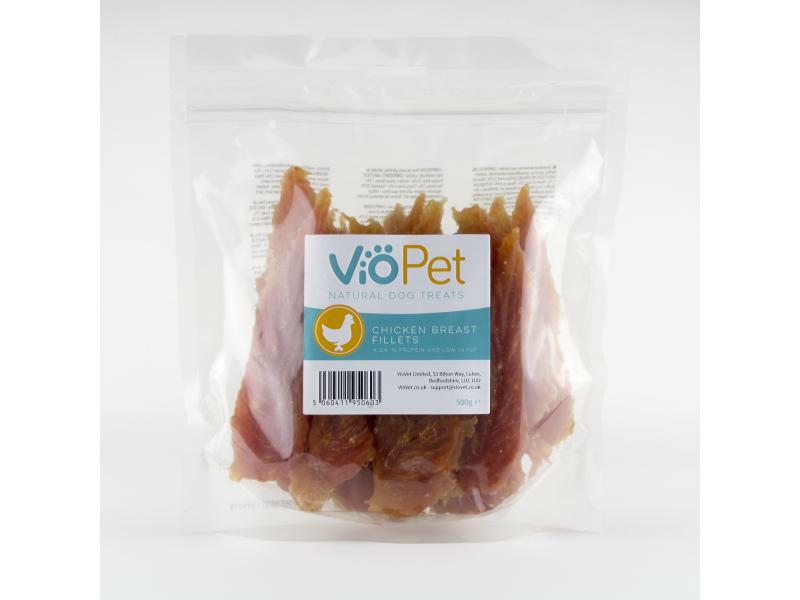 Can you guarantee that none of the meat treats originate from the Far East for production in Europe? 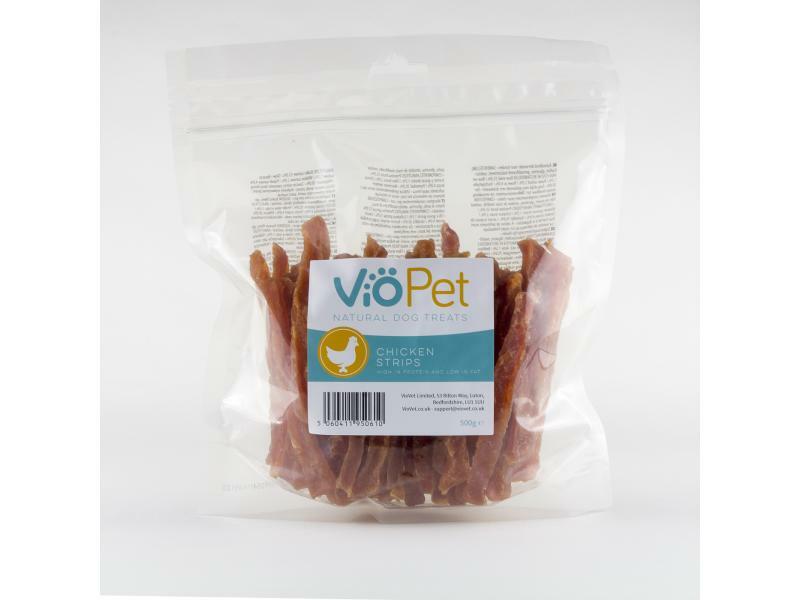 Our treats are manufactured by our partner in Belgium, who sources all meat from EU farms. 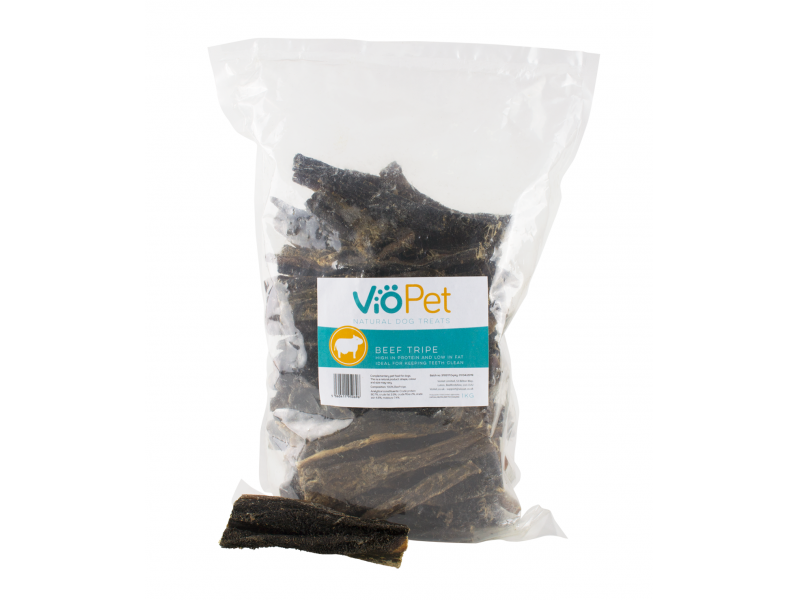 Dogs with pancreatitis need to avoid a high fat content in their diet, and VioPet treats are naturally very low in fat, so they should be suitable for her. I'd recommend asking her vet first if you're unsure, and introduce dietary changes gradually so you can monitor her response. The VioPet Chicken Strips can be easily broken into small pieces to introduce slowly (or use as training rewards) so they would be good to try. I have ordered 3 packets of these treats but in what country are they produced please? 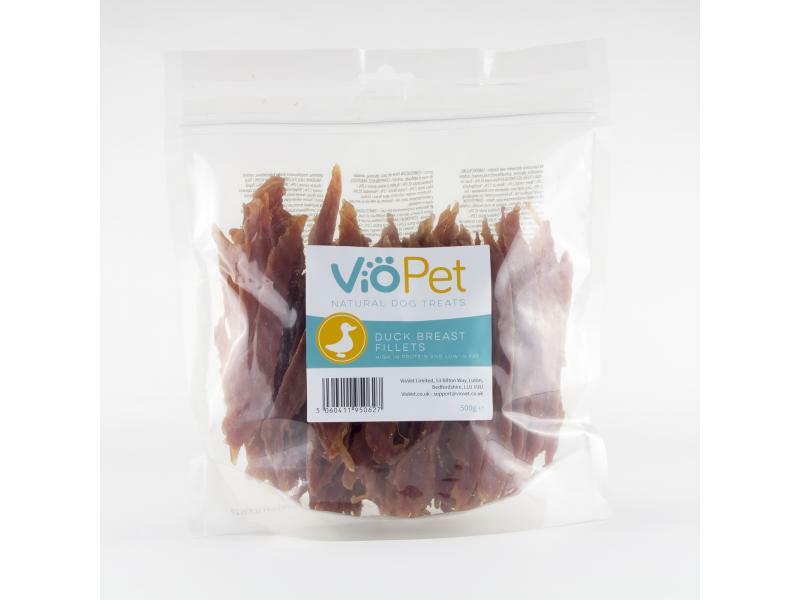 We source all of our VioPet treats from Belgium. We have a sister company operating in Berlin, who has been working with the manufacturer for a number of years, so we have partnered with them too. I hope this helps!